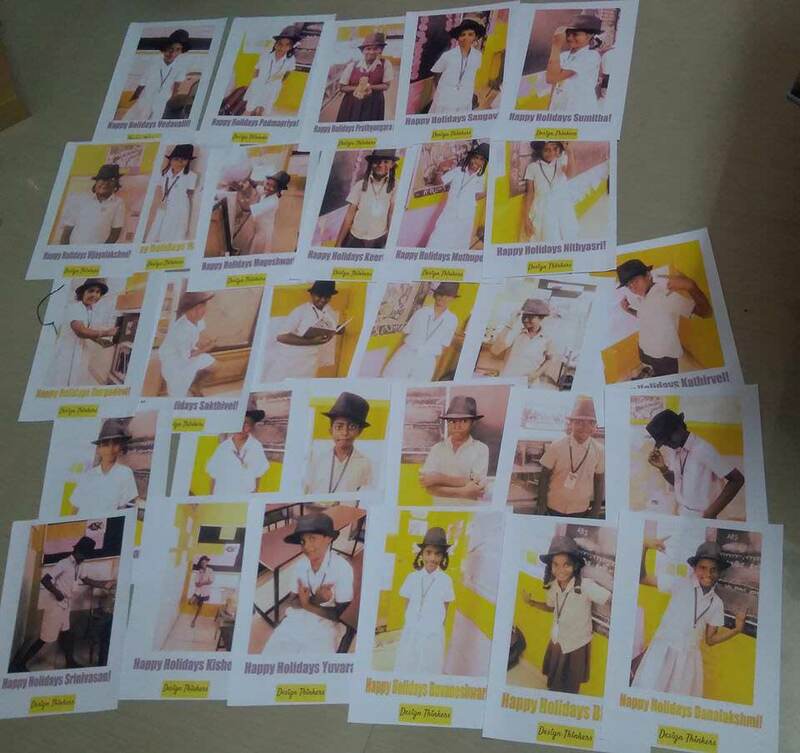 Support and share the dreams of IV A Inventors at CMS MGR Nagar! #Donate4Inventors - Your each and every contribution will help the kids in the journey of an excellent education! 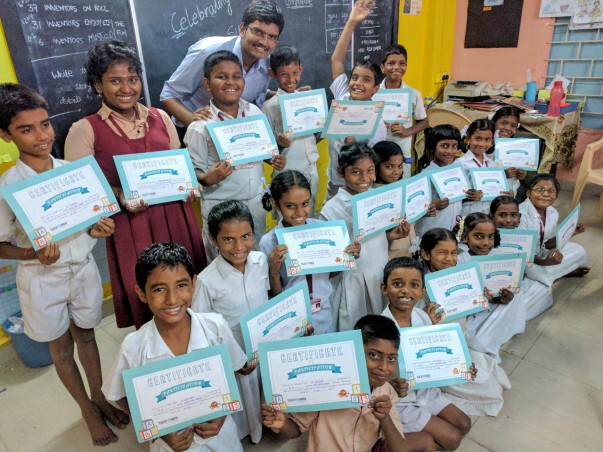 The class room of IV A at the Chennai Corporation Middle School, MGR Nagar includes 37 charming and highly talented children from an underprivileged community. The class has been named as 'Inventors' because of the interest and aspiration of the children to explore and learn about the things around them by drawing inspiration from the various discoveries and inventions in the world. "All the IV A Inventors will be empathetic, passionate and confident leaders of tomorrow who can respectfully communicate with others and overcome their own problems by action and inspiration." We firmly believe all the inventors can avail an excellent education - comprising of learning outcomes in academics, strong belief in values and the ability to connect with self and others. Introducing smart learning in the class room with the support of technological advancements. Kindly help us in achieving our vision by donating on this fund raising page. If you will be able to support us in helping our needs in any other ways, kindly reach to us. "Over the past one year, I had an incredible journey with the 'Inventors'. An opportunity to see the kids grow and do wonderful things. It's fabulous to see the kids taking ownership of their learning and growth and they consistently push themselves and myself to achieve our vision." "Being with the children as their teacher & friend for the past 2 years were the best part of my life. We always keep the kids and their learning at the core of all our activities inside and outside the class room." Thank you so much for the support so far! Here is the major update! 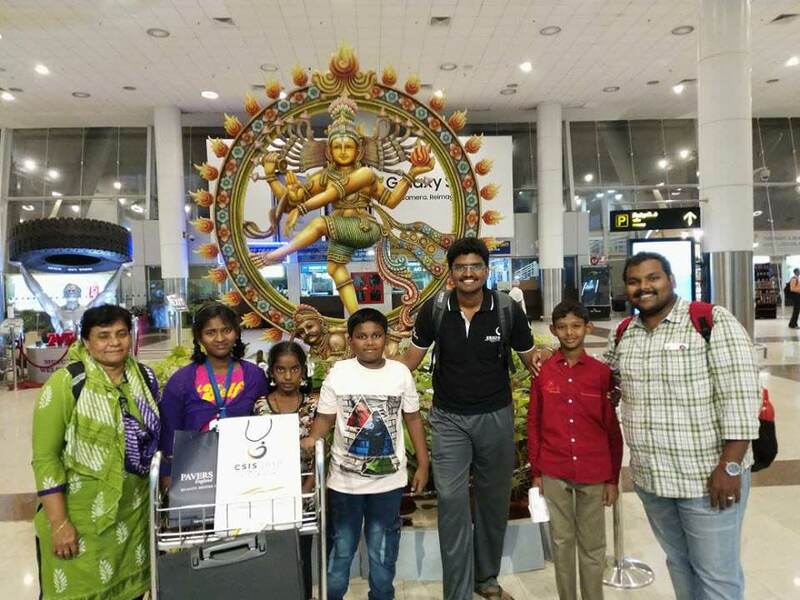 Students from Chennai Middle School—MGR Nagar, were one of seven school groups across India invited to the IEEE Computer Society Symposium in Bodh Gaya, Bihar!The kids participated in a competition called ‘Robokidz’, where they developed bots to solve real-world problems and learned about engineering, the Internet of Things and artificial intelligence. Fifth graders Barath and Bhuvaneshwari were runners-up for their water tank indicator bot! The crew learned how to solve real-world problems using IoT devices from Mr. Gajare of Cisco, and also created the idea of a balloon robot to save people from drowning.Design Thinkers were transformed by the trip! “The program improved my understanding of engineering. I learned how to create robotics and understood their purpose from technology experts," said Barath, who took his first flight for this competition. "I felt responsible as an Indian citizen to solve the problems existing in Bihar after seeing the reality. By 2030, I want to contribute towards India for a change. This is my country and I will serve my people," shared K. Prathyangara. Summarizing the most memorable moments for the Design Thinkers in the past 6 months. 10+ Design Thinkers wrote all the 5 of the following examinations conducted by National Science Olympiad. One of our kid, Barath Mathiew got selected for Round 2 in both IEO & IMO securing top ranks in the city. The results are yet to arrive! 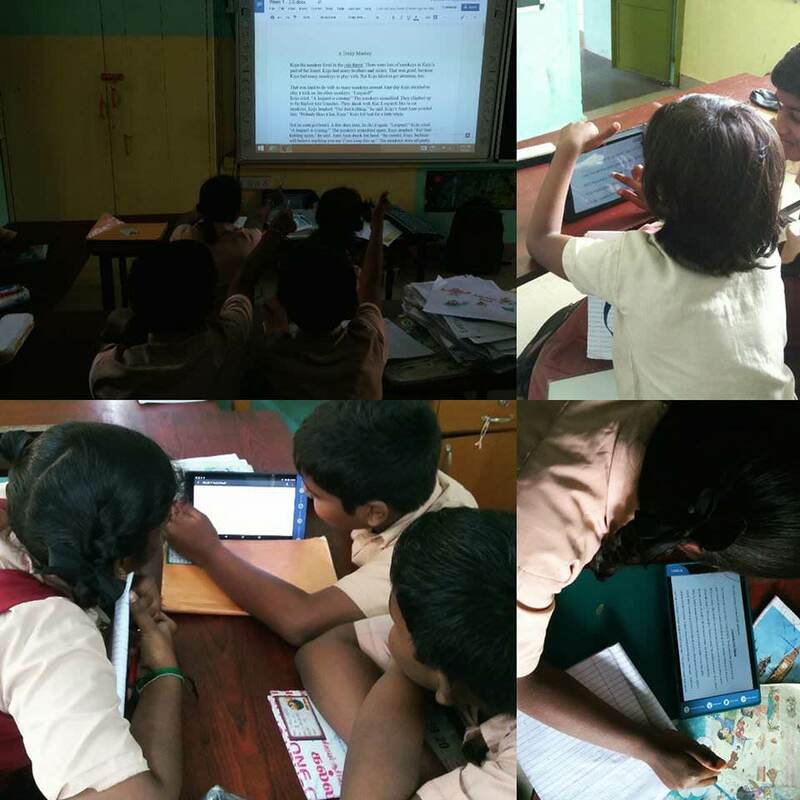 We realized that we came a long way when we saw the kids tracking their own progress using Google Sheets. Students independence and investment towards learning has been two major aspects of our vision for Design Thinkers. We brought in an interesting classroom structure called as the Class Council which included students assuming leadership roles and solving various problems that exist in the classroom/school/community. We have very interesting roles like Chair, Secretary, Treasurer, Cleanliness leader, Orderliness leader for teams divided into Regions like Asia Pacific, Europe, Africa and America. 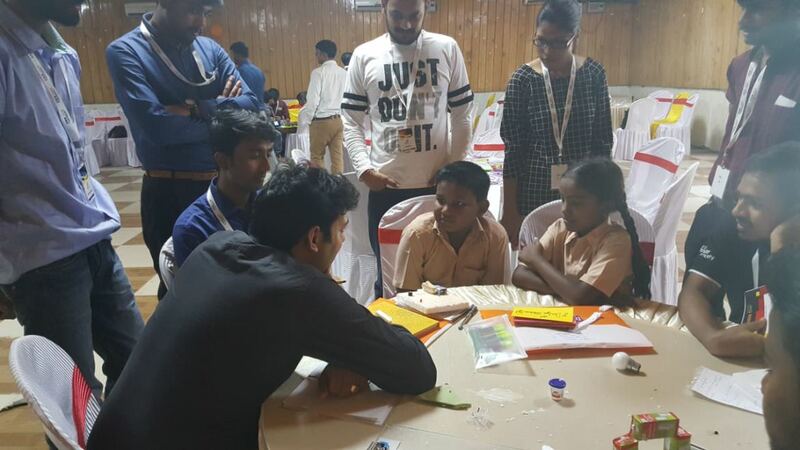 All the Design Thinkers enthusiastically participated at 30+ events at Chennai Students Kondattam, an inter-school competition and won 11 prizes on competitions like Group Drama, Design Squad, Art from Waste, Lemon and Spoon race. Kids were taken on a trip to visit Chennai Museum during Dec 2017. The one-day event provided a lot of insights for the students about the Indian culture, kings, and monuments. Then, they had an opportunity to watch a drama 'Happy Potter' which is an exclusive play conducted for kids who love Harry Potter. Kids made an excellent growth in terms of outcomes in the recent Term 2 examinations. They are possessing strong Math and vocabulary skills now. We are trying to push for even more outcomes in the final 2 months of Grade 5! - Watch out for a major update. Kids beyond borders! - We are building a blog for our classroom. Get ready to read daily chronicles from the Design Thinkers! Thank you so much for your continuous support. Feel free to reach out to: aravindhan.a2016@teachforindia.org to know anything about kids. 1) Design Thinkers had an adventurous Term 1. All the 31 kids had an introduction to 'Google Scratch' a visual programming tool and received Certificate of Achievement from Google Code of Lab. 2) The kids have successfully completed Term 1. Each of them were provided with a personalized holiday home work packets of 60 pages, and it is surprising to see almost everyone have completed the home works by the end of the holidays. 2) The Design Thinkers successfully hosted a End of Term Parents Teachers Conference (PTC) with the theme 'Emerging Engineers' on behalf of the Engineers' Day 2017 (Sep 15). The kids presented about 8-10 different engineering domains along with their applications to the parents through a student-led interactive session! The parents and teacher shared opinions on how to help the students perform well on academics during exams & term holidays. 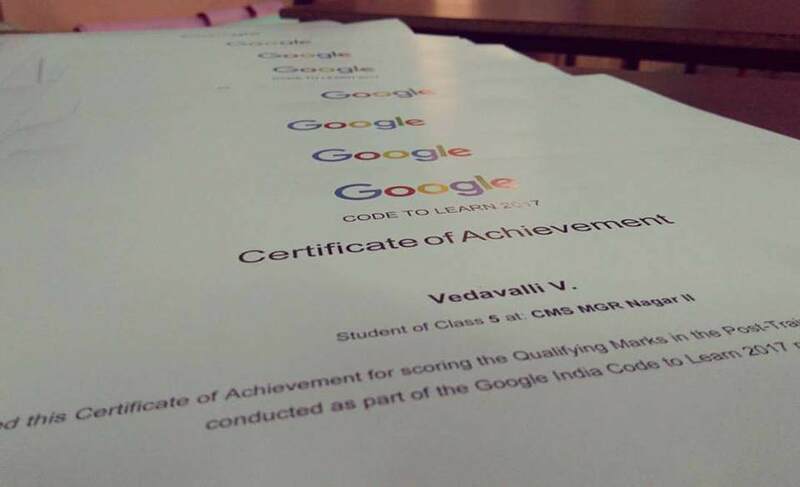 The conference closed out with distribution of Google Code of Lab certificates for all the kids (for learning scratch) along with the printed multiplication table chart. The school has re-opened for the new term. 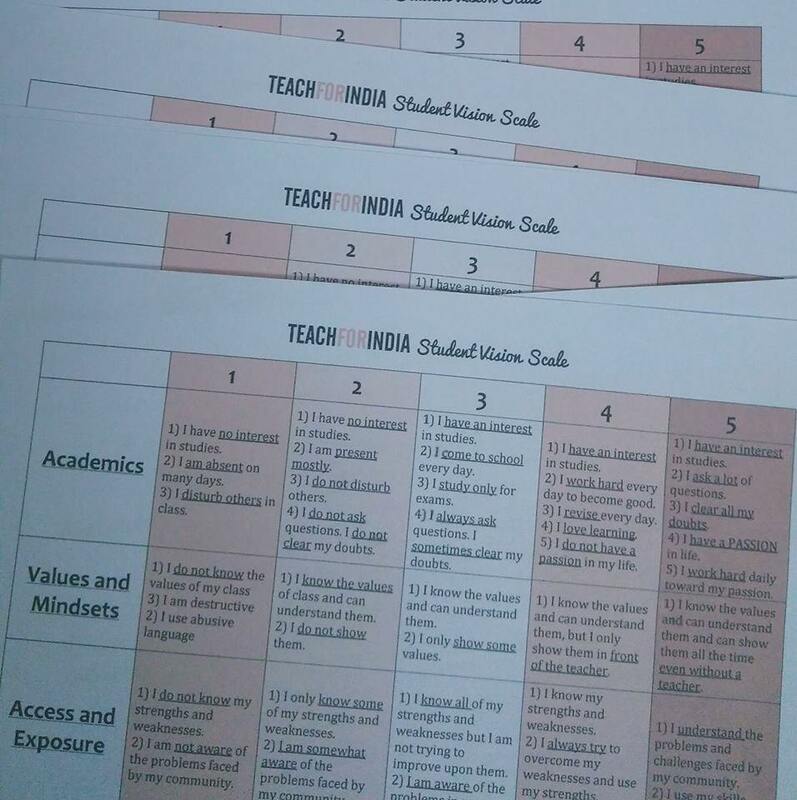 We are strengthening our vision-action alignment and trying our best to ensure that all the kids reach 5 on Student Vision Scale (a rubric on Academics, Values & Mindsets, Access & Exposure). 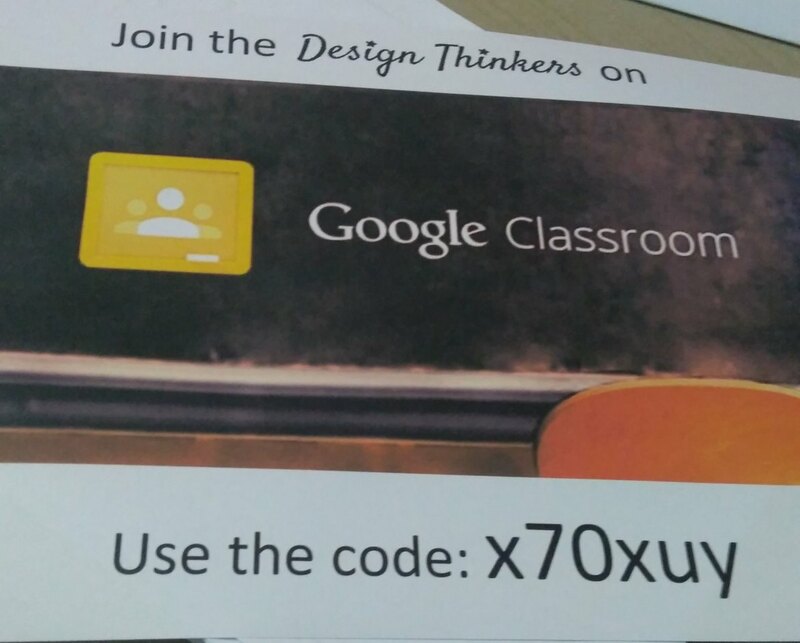 We are piloting an interesting project to bring Technology inside the class room. More info on the next update!